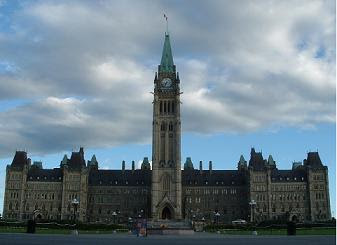 Welcome back to the second day of our tour of the capital of Canada, Ottawa. I've lived here for well over 40 years, so I know many of the highlights (and lowlifes) of both Ottawa and Gatineau. For example, when I was much younger I would cross the border to haunt some of the late night bars with other lowlifes on the Quebec side of the border in what, prior to amalgamation, was once known as Hull. Then they razed the bars and built office towers in which I worked in as an adult! Such is progress. For both the landscape and me! The Ottawa region is truly one of the most beautiful places on earth. The canal, bike paths and greenbelt (a ring of undeveloped land around the city) add to the natural majesty of the region. Museums, art galleries, world-class restaurants, an NHL team, the National Arts Center and blues, jazz and folk festivals provide just some of the options for entertainment. In the region, there’s something for every season. In the spring it’s a magnificent display of tulips along the parkway next to the canal. Our tulip tradition started when the Dutch government gave Ottawa 100,000 tulip bulbs after the Second World War as thanks for offering safe haven to their exiled royal family. The Dutch didn't give us Canada geese but we have lots of those too! In the summer, there are the ruins and gardens at Mackenzie King estates near Chelsea, Quebec. William Lyon Mackenzie King, Canada’s 10th prime minister, had a passion for architecture and gathered a collection of picturesque ruins from across Canada and abroad. He bequeathed his estate to the nation when he died. Mackenzie King was also highly eccentric and had another passion: communing with spirits, including those of Leonardo da Vinci, Sir Wilfred Laurier, his dead mother and several of his Irish Terrier dogs, all named Pat. Hard to imagine that this guy was Canada’s longest serving prime minister, not to mention the longest serving leader in the British Commonwealth. When they say he had a thing for spirits one wonders if they came from another world or a another bottle. And in the fall, there’s the turning leaves in Gatineau Park, or a picturesque covered bridge in nearby Wakefield, Quebec. There’s something else that Canada’s capital is famous for. Something that isn’t widely known. It’s the home of the Elvis Sighting Society. It's members apparently believe Elvis is still alive and lives in the cottage community of Tweed about 90 miles west of Ottawa. The Society resides at Moe Atallah’s Newport Restaurant in the city's west end. The Society is actually a charitable organization helping the less fortunate across the city. 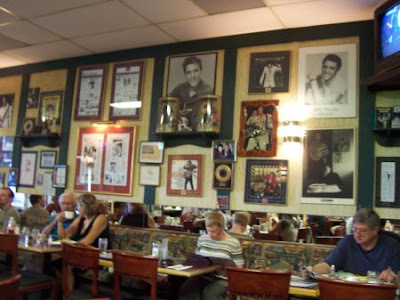 But the Newport is filled with Elvis photos and memorabilia and if you want a great “greasy spoon" breakfast - and for under $5 - the Newport is the place to go. In recognition of the Society and the Newport, the small lane behind the restaurant has been officially dubbed "Elvis Lives Lane" by Ottawa City Council. I think Moe missed a perfect opportunity in not naming his restaurant “A Hunka Hunka Burning Stove”! And so concludes our little glimpse of where I live. And as we wave bye, bye to Bytown I leave you with this observation. It's unfortunate Mackenzie King died when he did. He would have loved being a member of the Elvis Sighting Society! July 1 & 2 the HBDC virtual road trip hits Maine where Debbie Does Drivel has been waiting patiently to show you all around. Who knows, maybe she'll spring for some lobster ayuh! Ohhh I love ottawa! I always stay in gatineau, and It always looks like it would be ottawas shiftier cousin. I like eating the beaver tail pastries! That is so pretty! I love biking and greenbelts and tulips...and Elvis. Okay, it's settled. I have to visit Ottawa. You should work for the tourist agency. Mr Condescending: You've got it, exactly! Yeah the beavertails are great - I shudda mentioned that. ReformingGeek: Yep, there's lots to see...and search for. Frank: You're not far. And coming from a Torontonian that's quite a compliment! Elvis is ALIVE?? No way! Does he have a southern Canadian accent now? As much as I despise cities, Ottawa looks/sounds beautiful. Good thing this posted late. I can't believe you even suggested I would spring for lobsters. Are you nuts? I didn't invite all those people! They can buy their own damend lobsters. Ahh I wanna go back to ottawa so bad now. I think I may make a trip to quebec city though next, I've heard its beautiful. I've been assured by some of my Canadian friends that the best Poutine comes from Ottawa street vendors -- it only makes sense Elvis would live near it. Canadian Blend: Ottawa's poutine is pretty good but the best can be found in Victoriaville/Warwick Quebec - the supposed birthplace(s) of poutine in Canada.